There’s only so many times a year you can go away skiing as a family, so you want to make sure you’ve picked a resort that ticks all the boxes; family-friendly, conveniently situated, plenty of activities for children and a skiing area that suits your children’s ability whilst still exciting enough for experienced skiers. However, finding a resort that ticks all those boxes is usually a little harder than just listing them off, that’s why we’ve created a shortlist of our favourite resorts that are the best places for families to visit this season. 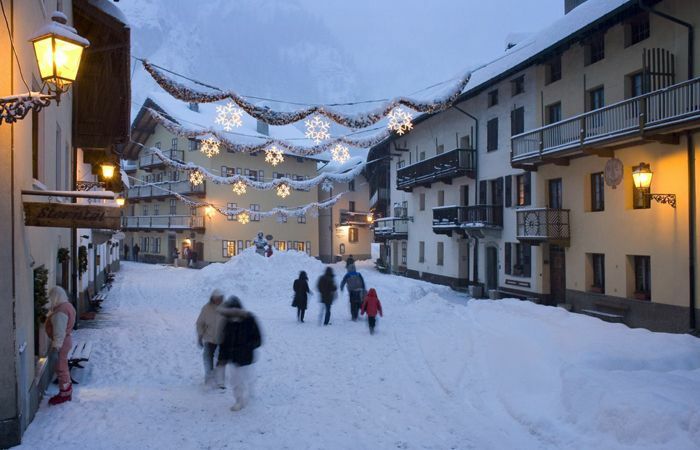 Nestled at the heart of the Monterosa ski area is Gressoney La Trinité, a tranquil traditional Italian village with cobbled streets, old wooden chalets and teeming with classic Alpine culture. Gressoney is filled with quaint restaurants serving delicious cuisine and the locals are extremely kind and welcoming to visitors. The Hotel Valverde also offers childcare for families travelling with younger children. The ski area is perfect for beginners and experts alike. Head to Stafal for some easier blues or whilst your children are looked after by the Monterosa ski school, head over to Champoluc or Alagna for some more challenging groomed runs or off-piste. 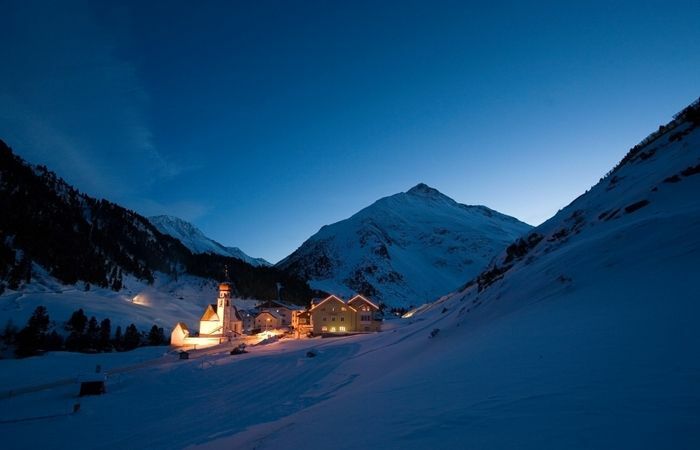 Obergurgl is an Austrian gem in the Tyrolean Alps; a traditional, cosy town with a lot of charm, it is one of the highest resorts in Europe, so you can always be sure of snow cover in Obergurgl. The town itself is small and with little traffic so you can be sure of a quieter holiday for you and your family. 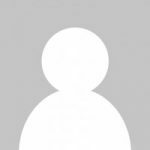 Chalet Alpenblume also offers childcare which makes it perfect for those travelling with younger children. The skiing in Obergurgl is suited more for the beginner to intermediate range and there are a vast amount of long carefree blues. More advanced skiers will have a harder time finding the more challenging slopes, but you can always ski over to nearby Sölden if you want something more up to your level. Most people don’t think of family ski holidays when they hear Val d’Isère, however, whilst the ski resort isn’t as quiet as some of the others, Val d’Isère caters to families more than you think. Not only is there lots of skiing suited for all levels in the Espace Killy there are also plenty of activities for children to do in the larger town such as husky dog-sledding and ice skating. Parents will find there is much more to do in Val d’Isère if they are looking for a more lively resort. The Chalet Hotel Ducs De Savoie offers childcare and is best for families with younger children. 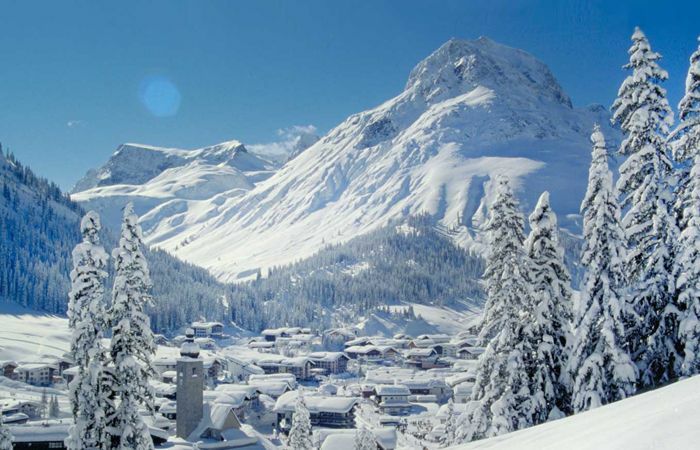 Lech is a ski resort in the Tyrolean Alps within the Arlberg ski area. Lech is known for its wonderfully welcoming locals and for its ‘treat your guests like kings’ attitude which is why it has a very loyal base of clientele. Lech is perfect for beginner skiers with plenty of nursery and beginner slopes and under-8s skiing free. Intermediates and more advanced skiers also have a wealth of skiing; the Arlberg has 502km of ski area and you can ski to other popular areas such as Zurs and St Anton, all covered by the standard lift pass. We recommend the Chalet Hotel Elizabeth Lech as it is ideal for families seeking comfortable and relaxed accommodation with easy access. The Hotel des Deux Domaines is a wonderful hotel located in Belle Plagne, one of La Plagne’s ten villages. Belle Plagne is one of the highest of the villages and is filled with classic wooden chalets filled with character, the small town is also the most visually attractive and is pedestrianised. The area is also perfect for younger skiers with nursery slopes and wide blues right on your doorstep. 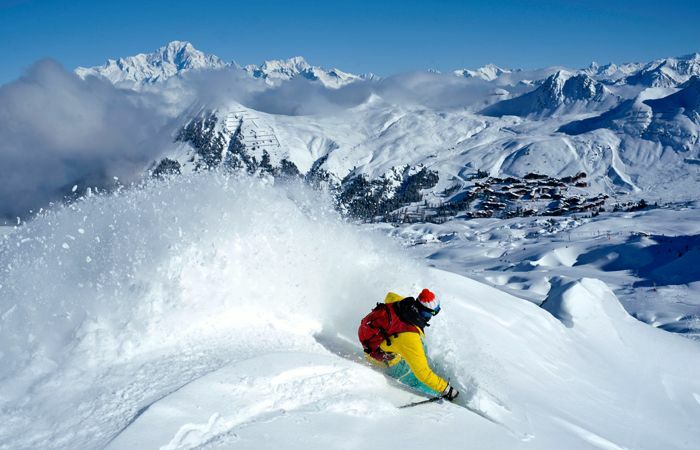 More advanced skiers won’t have to go far either; La Plagne’s ski area Paradiski is teeming with more challenging slopes meant to cater to the needs of every level of skier. The Hotel des Deux Domaines also offers childcare which is a bonus for those holidaying with younger children. To find out more about our family ski holidays click here to see our family hub.